Unless the Fort Lauderdale International Boat Show is going on, the Bahia Mar resort and marina typically remains something of a walled off area. Located south of Las Olas Boulevard, Fort Lauderdale city commissioners met yesterday to determine what to do with the property. One of the suggested plans for the resort is a $400 million project that would focus on redeveloping the Bahia Mar into a pair of 39-story condominiums with a total of 525 units. That height would essentially eschew all of the current limitations regarding beach construction which allow for a maximum height of 24 stories. Should plans move forward the project would result in the tallest buildings piercing the Fort Lauderdale beach skyline. Besides the towers, the new project would create a new permanent home for the boat show and it would also allow for a series of waterfront restaurants plus a so-called “fishing village” that would consist of various eateries and retail set to be located on State Road A1A. What’s more, the lease payments generated from all of these places could mean millions of dollars for the city. 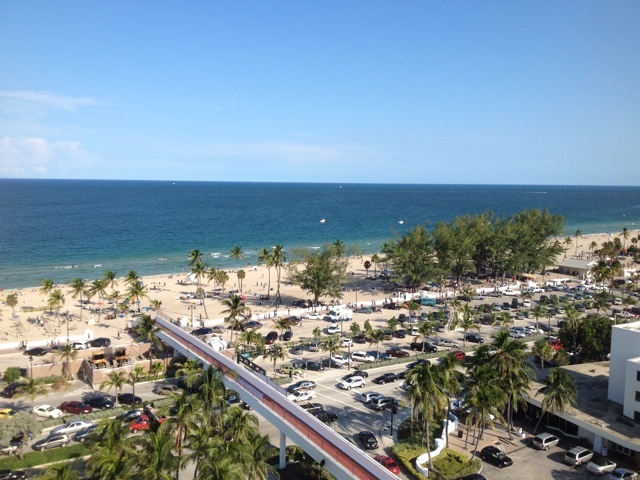 Though Fort Lauderdale has largely stuck to its 24-story requirements, it has managed to make exceptions on rare occasions, such as with the opening of the 29-story Las Olas Beach Club condominium.